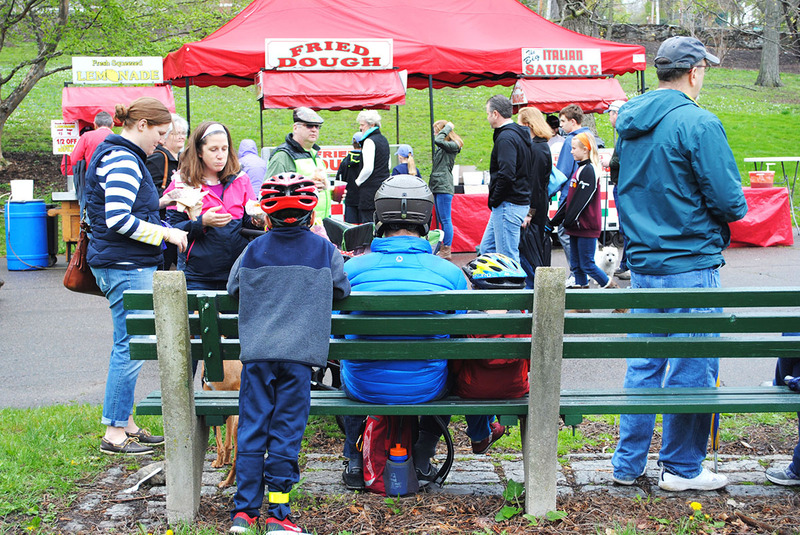 See what you missed from the annual Mother's Day event, occasional rain and all. By Greta Jochem·	 5/8/2016, 9:17 p.m. 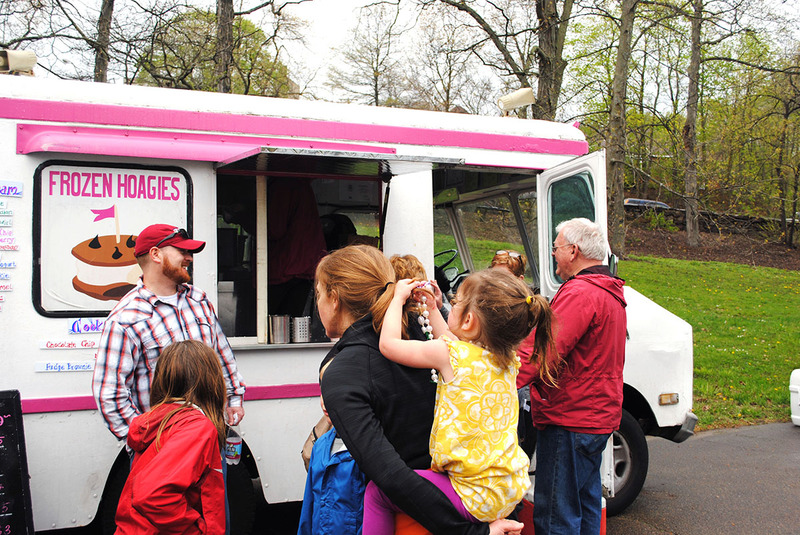 Crowds took in the sweet smell of lilacs and food trucks Sunday at the Harvard Arnold Arboretum’s Lilac Sunday. 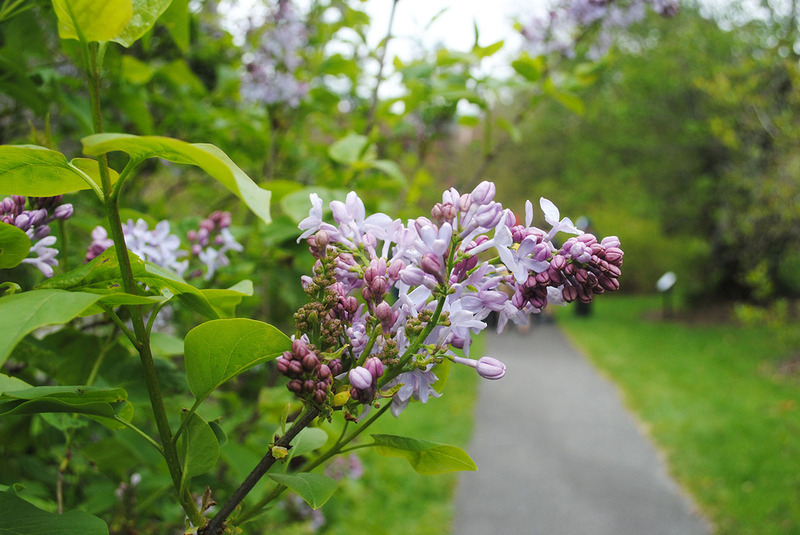 Each year, the park throws a celebration, that in recent years has coincided with Mother’s Day, for the newly blooming lilac bushes. 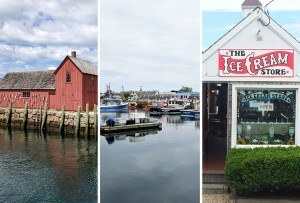 With more than 370 plants of 167 varieties, the collection in Jamaica Plain is regarded among the best in North America. 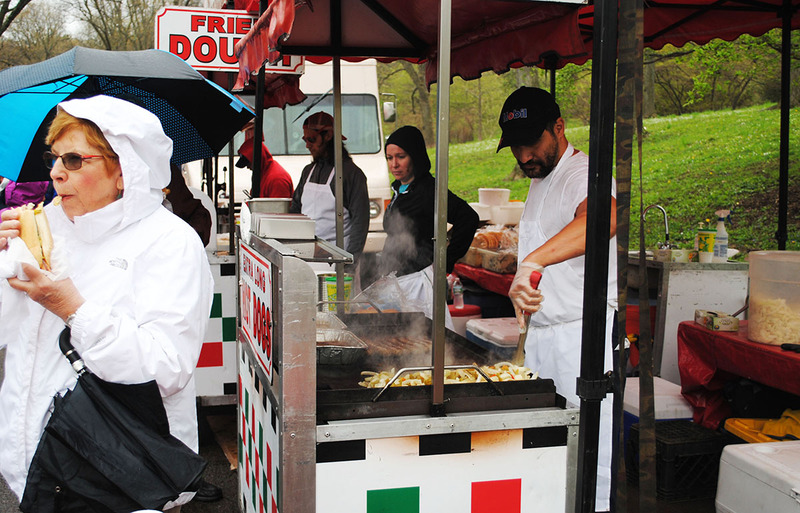 Even with misty rain and overcast skies, people still came, dressed in rain gear and armed with umbrellas. 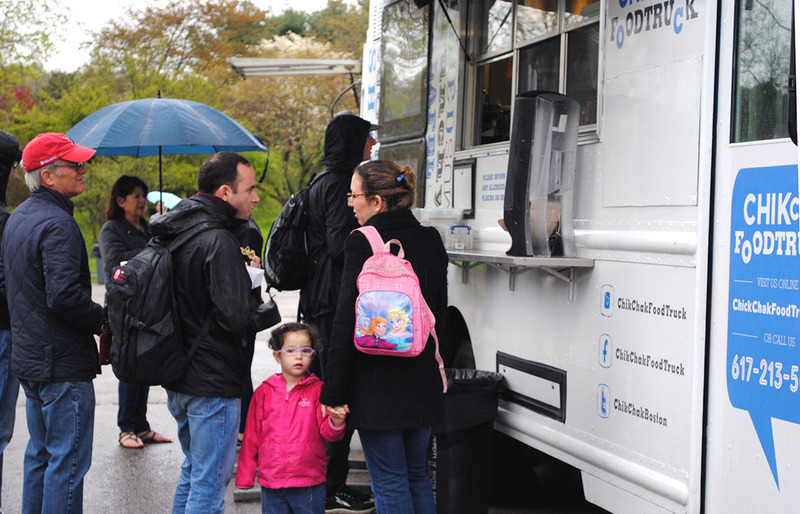 Families, children, friends, couples, and mothers, of course, flocked to the park to take in the fresh flowers and food trucks. 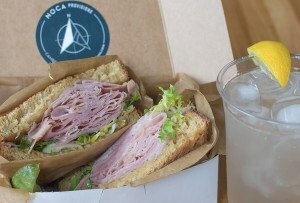 There were nearly 20 food trucks there, including favorites like Roxy’s Grilled Cheese, Clover, and Chicken and Rice Guys. 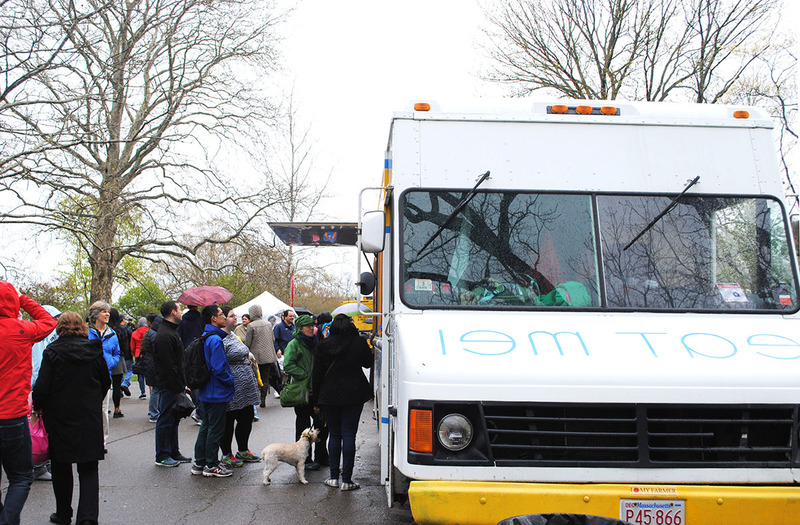 People chowed down on Bacon Truck’s Nutella-covered bacon, Frozen Hoagies’ giant ice-cream sandwiches, and Zinneken’s decadent Belgian waffles. 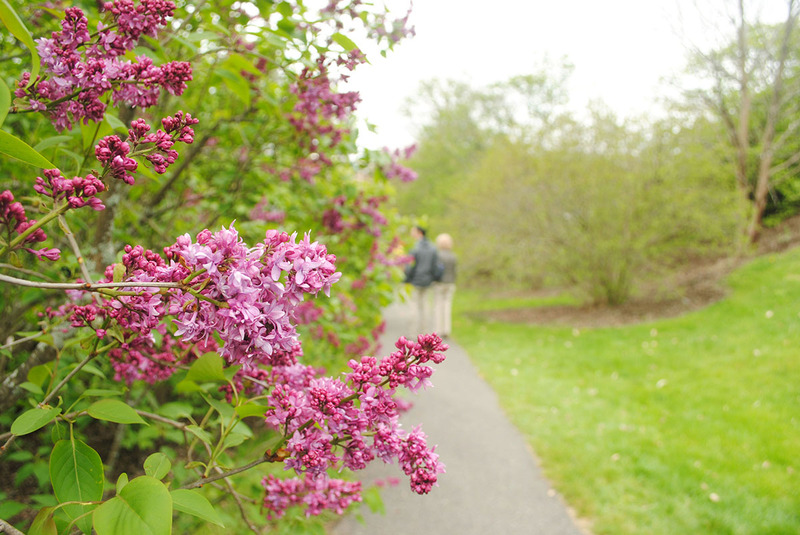 Check out some photos from Lilac Sunday 2016 below. 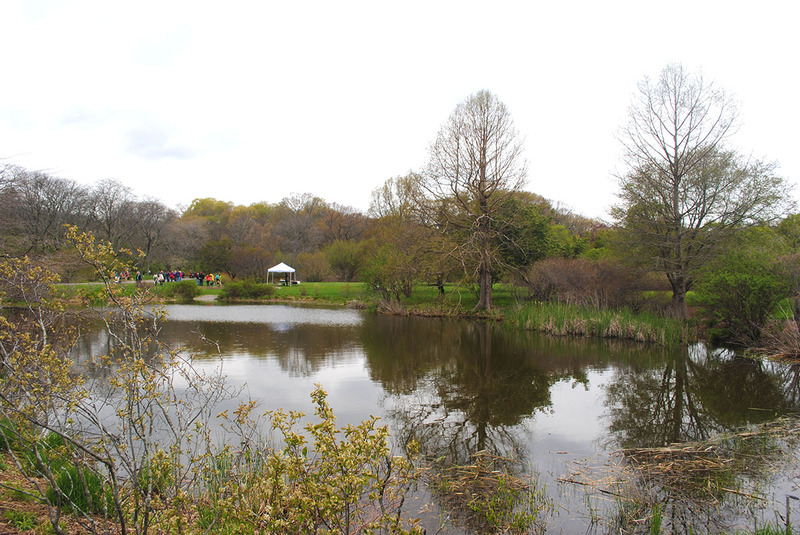 The pond in Arnold Arboretum. 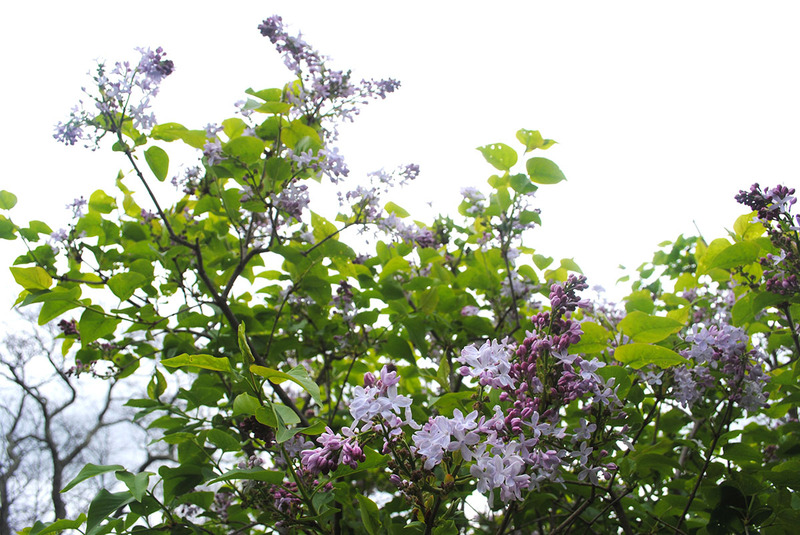 A lilac tree in the Arnold Arboretum collection. 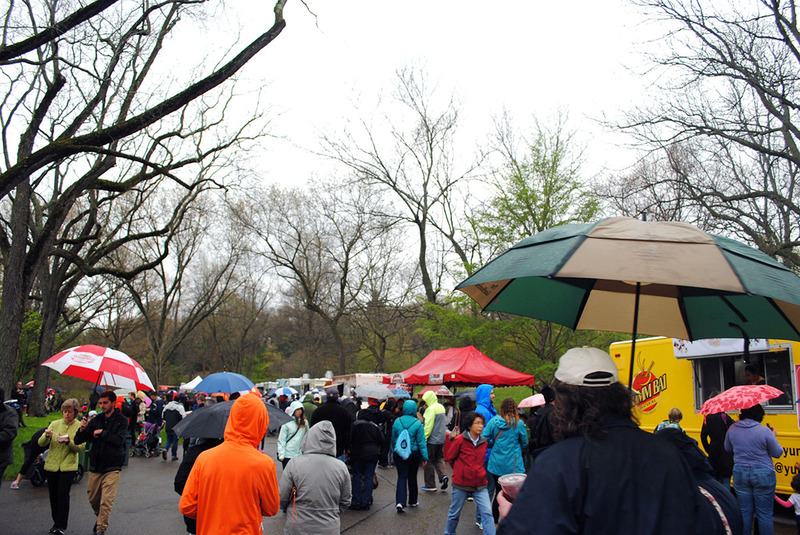 A crowd of umbrellas fill the park on a rainy Lilac Sunday. 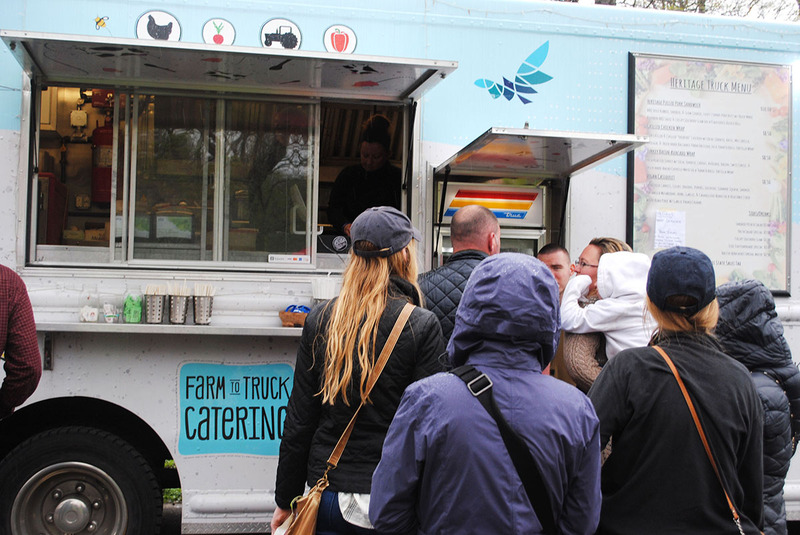 Visitors wait in line at Heritage Truck for farm-to-table-focused dishes. A family waits for Chik Chak’s Middle Eastern food. 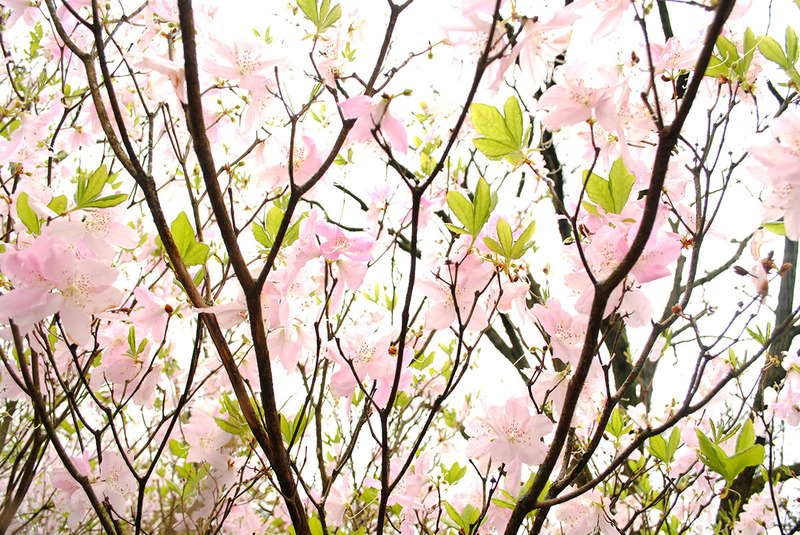 The Arnold Arboretum has more than just lilacs. Azaleas are also blooming. Visitors wait for Frozen Hoagies. 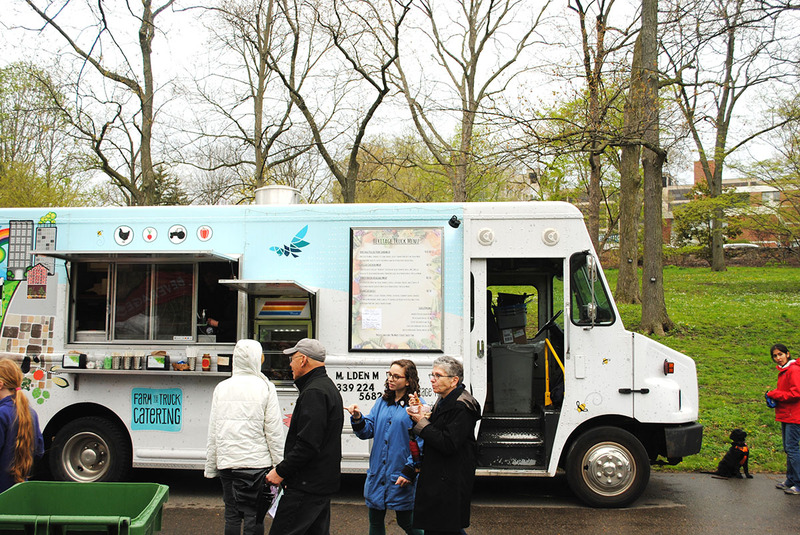 Heritage Truck focuses on farm-to-table foods. 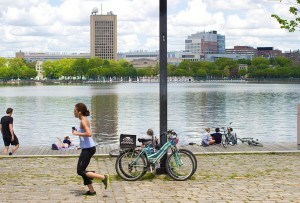 A group of bicyclists relax at the arboretum. Mei Mei Street Kitchen serves Asian-American fusion. Hot dogs and vegetables sizzle on a grill. 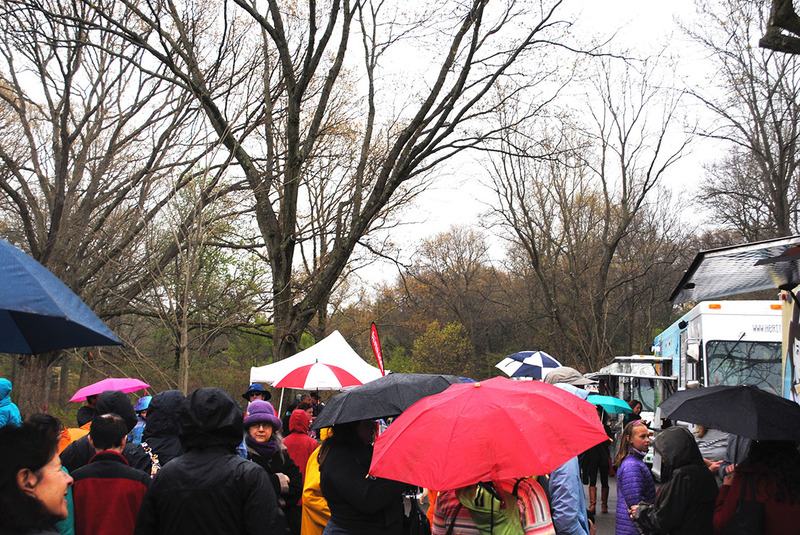 Bostonians braved the rain with umbrellas and hoods to take part in Lilac Sunday.